The accused creator of the Silk Road online drug bazaar, which enabled over $200 million in anonymous online sales, is to be sentenced on Friday. The director of a documentary about Ross Ulbricht told RT why his case "impacts the average citizen." Federal prosecutors are seeking a sentence "substantially above" the 20-year mandatory minimum that United States District Judge Katherine Forrest is looking to impose on Ulbricht, 31, who admitted to creating Silk Road, but denied any wrongdoing. Ulbricht was indicted in 2014 on charges related to Silk Road – an underground website where visitors could buy and sell illegal drugs, and hacking services, all on the ‘deep web’ through highly-anonymized crypto currency bitcoin. The government said Ulbricht ran the site under the pseudonym of ‘Dread Pirate Roberts’ (reference to a character in the 1987 movie ‘The Princess Bride’), and it took a jury less than four hours to find the man guilty on all counts. Ulbricht, who grew up in Austin, Texas, is expected to appeal his conviction. According to prosecutors, the Silk Road operated for over two years and heavily relied on the so-called Tor network, which lets users communicate anonymously. 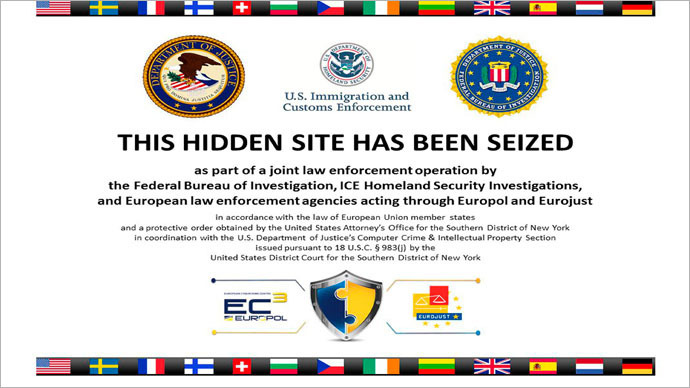 The black-market website, which had generated over $214 million in sales, was shut down in 2013, when authorities seized the illicit service and arrested Ulbricht at a San Francisco website. Not that it was the only market. Prosecutors keep insisting that Ulbricht went to extremes to protect his brainchild, Silk Road, soliciting the murders of several people who posed a threat to the business. No evidence the murders were actually carried out has ever been presented, however. In February, a federal jury found Ulbricht guilty of seven felony charges in connection with running Silk Road, including drug trafficking, money laundering, computer hacking, and identity fraud. Murder for hire allegations are not on the list since the accusation was not charged in the New York case. Ulbricht will face another process for a murder-for-hire charge in a separate, Maryland court case. In a letter to Judge Forrest, the prosecution wrote that “Ulbricht’s conviction is the first of its kind, and his sentencing is being closely watched.” To reflect the “seriousness of the offense, to promote respect for the law and to afford adequate deterrence to criminal conduct” the prosecution has urged Judge Forrest to go beyond the minimum 20 year sentence for Ulbricht. ‘Deep Web’ doco creator: Who really ran Silk Road? "When you're dealing with the difficulty, the challenge of the law enforcement trying to untangle cases that exist in the cyber space, especially in anonymous spaces like the Dark Net, where everyone is using an anonymous technology, a fictitious username, anonymizing bitcoin, it's extremely challenging to catch people that are engaged in criminality in tech digital world. So I think once they found somebody that appeared to be largely responsible, they thought, well, let's focus all of our energies here if we've got a human being in the real world," filmmaker Alex Winter, who made a documentary about Ulbricht called ‘Deep Web’, told RT. "Because nobody can get to Ross, including myself, nobody at the end of the day knows all of the truth, most likely. Nobody certainly knows Ross..." he added. Winter says that while the prosecution and most of the people in law enforcement do believe that Ulbricht was predominantly responsible for creating and running the black-market service, there were "many people involved in the Silk Road, a million users and many, many vendors and administrators and moderators that had administrative power. "But the law enforcement and the prosecution's case was really focused on this notion that Ross really had the reigns and power in his hands. The evidence that they presented to that end was his diary that was found on his laptop; there were several entries in 2013 where Ross seemingly took ownership of that leadership power," the filmmaker said. Ulbricht's lawyer Joshua Dratel said that Ross did set up what he saw as a "freewheeling, free-market site" with all but a few harmful items up for grabs. According to Dratel, Ulbricht handed off the service to others after it became too stressful to handle, but eventually became the "fall guy." In a letter filed in court last week, Ulbricht urged Judge Forrest to leave a "small light at the end of the tunnel" in sentencing him, adding he acknowledged that "In creating Silk Road, I ruined my life and destroyed my future." Winter says Ulbricht is "a kid who put himself to two full scholarships, had a mechanical engineering master's degree from Penn State [University], was a pacifist, was a sort of gentle character that everyone knew as a pacifist. "And again it doesn't negate a possibility that somewhere along the line it all went horribly wrong. That's everyone's perspective, that's all they know of this person. My honest appraisal is that there's a lot we don't know," the author of Deep Web documentary, set to premiere on May 31, added. However bizarre it may sound, the filmmaker says Ross' case actually impacts the average citizen "very directly." "There's a lot of question around how the Silk Road service was seized because it existed within the Tor hidden services, one of the technologies that gets you into the Dark Net. There hasn't been a satisfactory explanation from law enforcement how the service was seized. It may transpire, if we ever get to have a conversation, that it was handled in illegal manner. It doesn't appear that there was a warrant; it doesn't appear that it was done in satisfactory or understandable manner. That raises questions about search and seizure in the digital age, which are extremely important. It's no secret that we need reform in this area of constitutional law," Winter stated.